As a missionary assigned in Nasushiobara, Tochigi, Northern part of Japan, it is challenging to deal with the weather. I came from a tropical country, the Philippines. As you can imagine, it has been difficult to adjust to the change in climate. This is my weakness. In my experience, the temperature decreases starting in October and ends in April. Throughout my stay in Japan, I had a continuous need to wear layers of thick jackets. I'm used to wearing thin shirts, shorts, pants, flip-flops, or sneakers. I don't want to challenge myself to wear those here, I'd surely get cold feet; literally and figuratively. This is where my patience is questioned more than ever. I'm impatient to feel Spring and Summer weather again. This is the same as when I was growing up. I'm excited to wear shorts and shirts again; to jog or walk around without thinking of whether or not I am wearing enough clothing when I reached the doorstep. Day to day, God makes us wait as a part of our living. We breathe and wait. On your way to work, when you respond to your messages, when food is served; We wait all day long. We wait our entire lives. 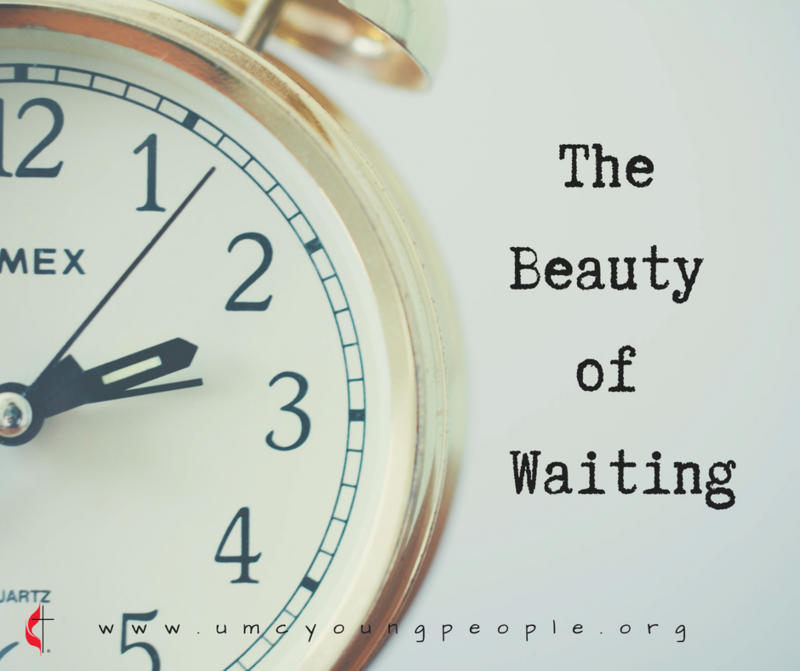 In the fast-paced world we live in, waiting is undesirable. It is often associated with a waste of time, effort, and resources which result in uneasy feelings or discomfort. However, when I meditate on the concept of waiting, I realize waiting isn’t solely a negative experience, it also has its positive points as well. We get demotivated because we don't know what future holds. It worries and frustrates us when we have no way of knowing what's coming, especially if we see no results. That's when I learn to trust, have faith, and hope God will help me reach my goal one milestone at a time. When you're waiting, it gives us room to appreciate things we take for granted, those we don’t usually notice due to fast-paced living. When we stop instead of waiting, reflect, and observe what's around us, we can enjoy every second of nature- the warmth of the sun, the presence of family, friends, and a sense of value of life because we are breathing and living. To me, that's what waiting is about now, and I'm grateful for it. Aside from the observation I made through this season, I experienced character transformation as well. Honestly, I am impatient. My mood changes easily, especially when I want to get the results I'm aiming to achieve. During these seasons I recognize that I still need to be transformed to be fully used for God’s glory. As humans, we're naturally impatient. Who enjoys waiting anyway? If only we could all learn and practice to trust God and His plans! He who makes everything beautiful will makes us realize what He really intends to help us blossom into throughout this journey. Ecclesiastes 3:11 reminds us that waiting never ends until the day that we will meet Him in eternity. As for now, let us patiently wait for that day and do things for His glory. Amen. 1. Why is waiting for God's plan so difficult? 2. What are the things that you are waiting for in this season of your life? How do you see God working?